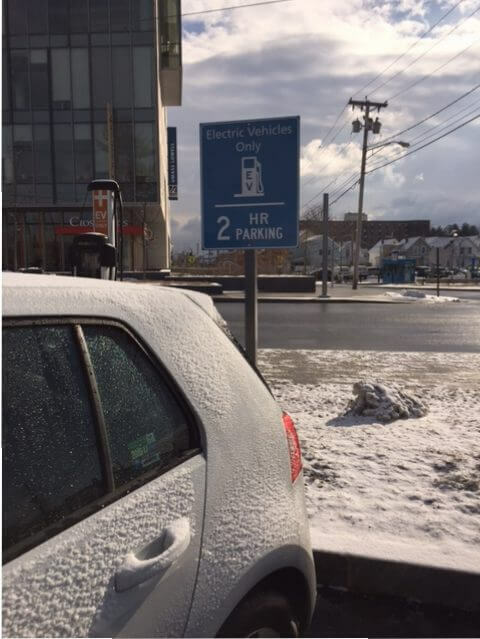 Even something as small as a parking sign can create a negative impact on the look and feel of your business. 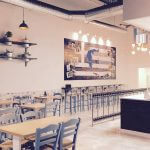 Rusting screws and posts can make it look like you just don’t care how your business looks. 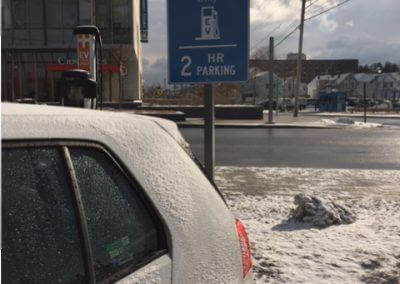 In addition, in larger organizations, special parking spaces for Visitors, Maintenance people, Handicapped drivers, and others must be signed in order to keep your parking area organized and running smoothly. 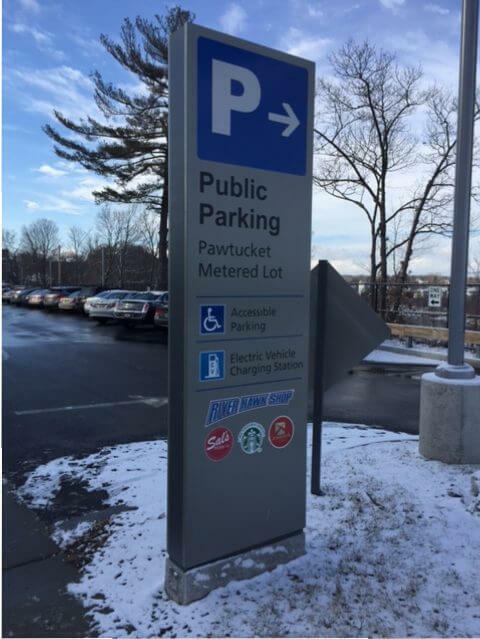 Parking signs also offer companies, malls, hospitals and others an additional opportunity for branding. 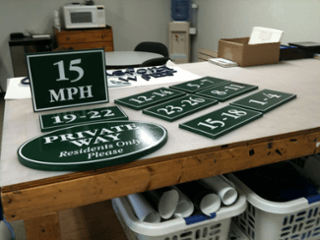 We specialize in custom parking signs and parking lot signs that keep your parking lot in order and help you look great. The fix is simple and relatively inexpensive. 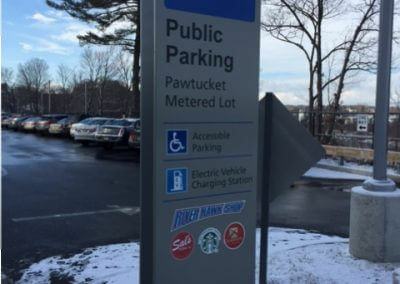 New parking lot signs can make your business or organization much more attractive, easier to access, and compliant in cases where you are missing handicapped and accessible parking notices. 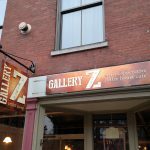 For under $100/sign, you can have custom signs with galvanized posts that won’t rust. What an great and inexpensive way to update your building or business parking area. Add some branding and you’ve created additional marketing for your business. 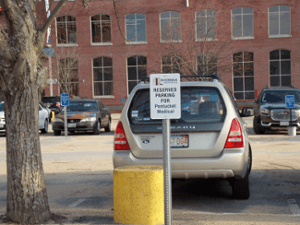 This summer we have installed hundreds of parking signs throughout Massachusetts. Some projects were simple with one or two handicapped or parking signs. Others more complex with entirely new parking areas such as this new parking lot at UMass Lowell. 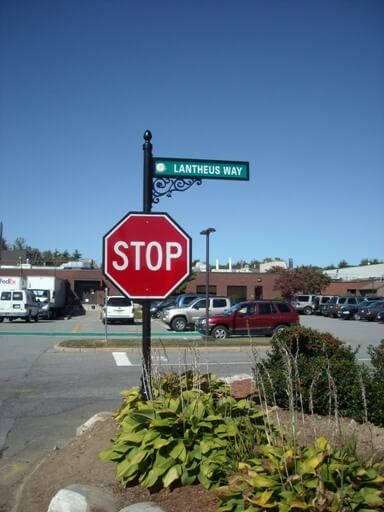 Whether standard or customized, we can help you with everything you need when it comes to parking lot signs. In the picture above, we’ve fabricated custom poles and breakaway systems per the University’s standards. 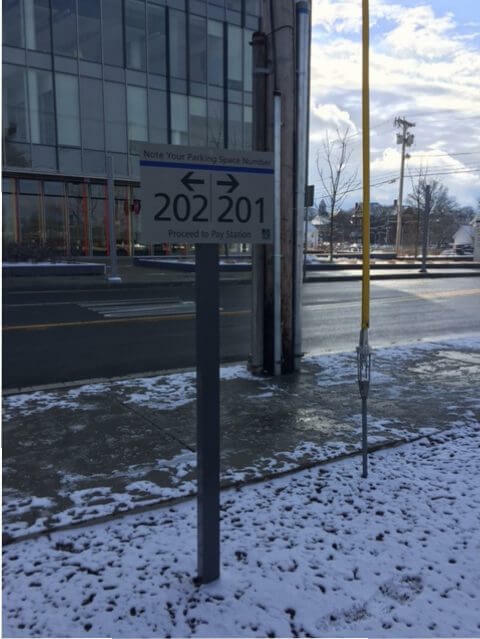 Signs included custom handicapped, parking meter, Do Not Enter and One Way signs as well as standard MUTCD Dead End, One Way and Fire Lane signs for areas outside the Universities parking lot. 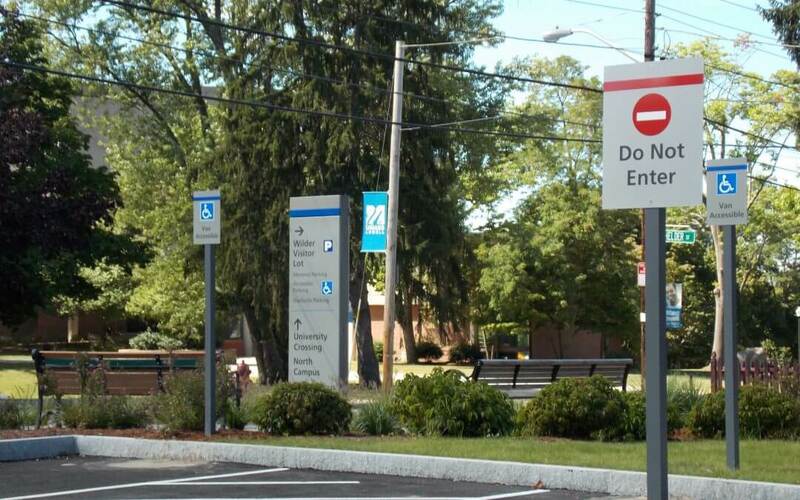 In addition, we refurbished a pylon sign and installed two flag mount signs in this parking area. In the city, parking is at a premium. 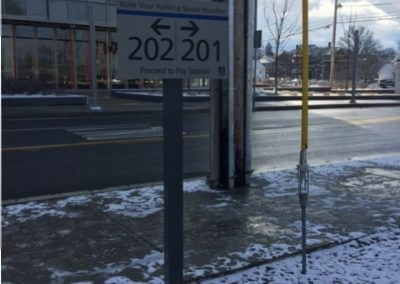 Parking notice signs such as the one pictured above take the guesswork out of knowing whether or not you may park in a specific area. 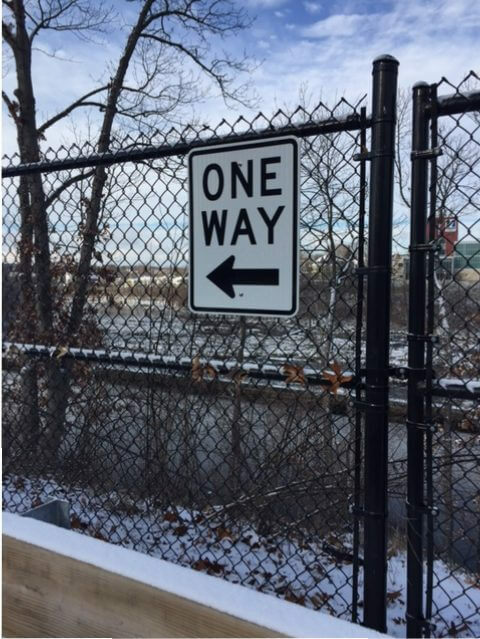 Simple, but necessary, these signs are cost-effective and reduce the need for ticketing and towing unauthorized vehicles. 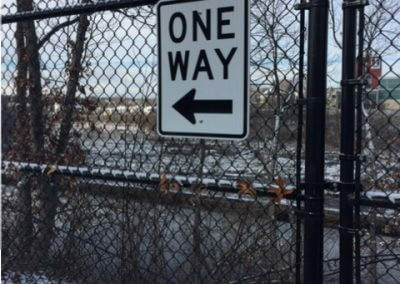 When it comes to parking lot signs, you have many material options. .080 Aluminum with radius corners is a great durable material and very common for most signs. We often use Dibond as it is also durable, comes in a variety of colors including silver and brushed aluminum and offers a less sharp edge than aluminum when cut square. PVC is another nice option for fabricating parking signs. 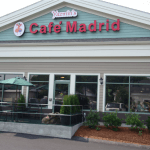 Used in combination with a 4″ x 4″ PVC Post sleeve creates an attractive look. We can even cut custom shapes and paint PVC to match your buildings trim or other features as shown in the examples below. 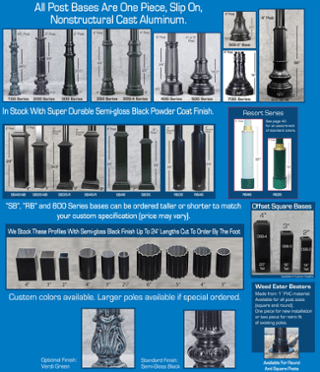 – Custom ornamental styles as shown below with your choice of pole diameter, finials and bottom treatments. 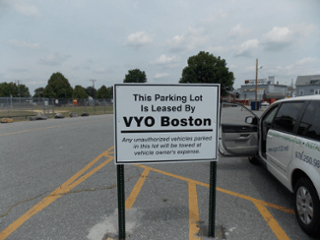 Our vendor Ornamental Post and Panel has hundreds of options for your parking lot signs. The options are endless and so is our creativity. If you have a parking lot that needs a facelift or simply better, clearer directions, call us today. We will gladly come and meet with you and provide you with a proposal to get your parking in great working order!